Start your review of Nicole Varga. I loved the speediness of our service we received and the ability to have our new vehicle ready for pickup within a week of purchase. Went above and beyond to make buying as easy as possible and helped us get everything we needed along with it!! Thank you Dan and Nicole!! 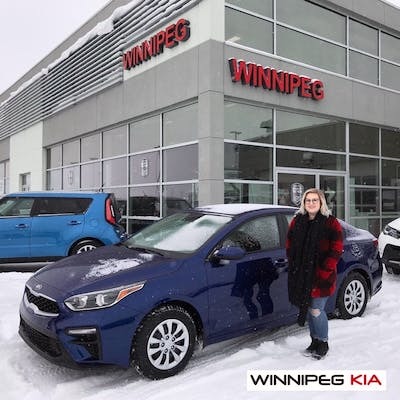 "Kia made car shopping easy! " I do not usually enjoy car shopping, so when my Benz died during our -50 weather, I was unsure where to turn. 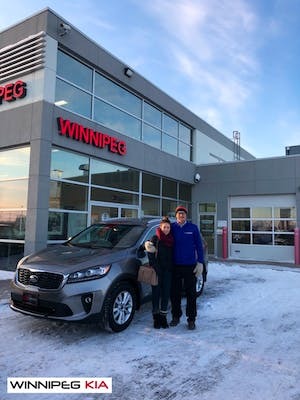 Winnipeg Kia was one of my first calls, and fortunately I connected with Michael Nagy. Throughout the process, Michael was honest and suppportive. He provided viable options within my perameters and went above and beyond to provide excellent service. 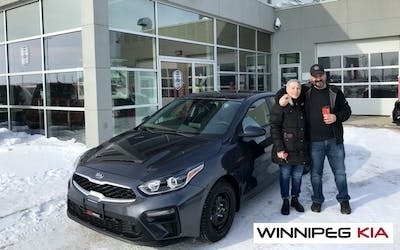 Though other dealerships were attempting to earn my business, it was Michael Nagy at Winnipeg Kia who was consistently available to answer my questions and make great suggestions about what my next car would be. Because of Michael’s professional attention, my purchase ended up being the vehicle that is right for me and I’m 100% happy with the choice! I will recommend Michael to friends, colleauges and family. Doug and Nicole were both extremely patient with our chaotic work schedules. What we were most impressed with is the 'options', especially with the financing, that we never knew existed! Overall we're very happy with the service and our new car. It’s been 5 days since we bought our new mini van Kia Sedona 2019 and it’s one of the best decisions we have ever made for our family! We would like to thank our Sales Advisor/ Product Specialist, Michael and his team, for guiding and giving their best efforts throughout the process. When we got to the shop, we were clueless about the car that will meet our needs. Michael and Ed were upfront, honest and very accommodating till we made a choice. We definitely appreciate the level of support we’ve received from them to be able to pick the best car that fits our need and of course, the budget  Shoutout to Nicole, the finance manager, for being so detailed when it comes to the contract, insurance and our rights. 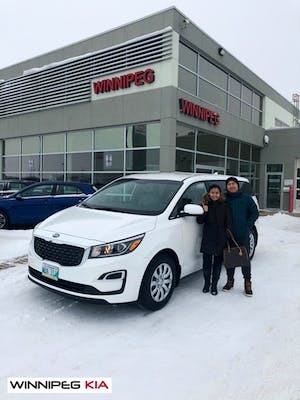 10/10 will recommend Kia Winnipeg! 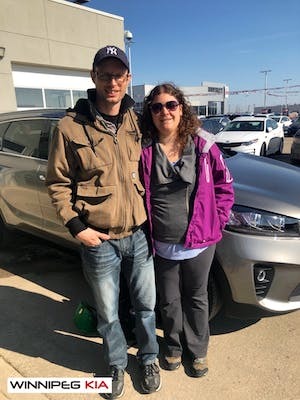 Both Michael and Nicole were very professional and friendly with myself and my wife with the purchase of our new Kia. I would recommend this dealership to my friends. What an amazing review, thank you for taking the time to leave your comments here! We appreciate the 5* and are thrilled to hear that Michael, Nicole and Savannah made such a lasting impression with yourself. 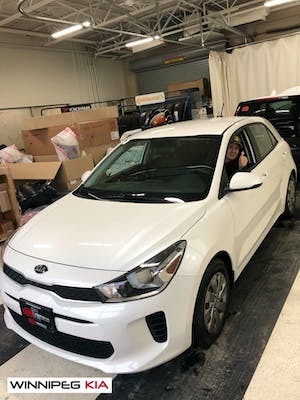 We wish you many years of safe and happy driving in your new Kia Rio 5! I sincerely enjoyed working with Michael to find our new vehicle. 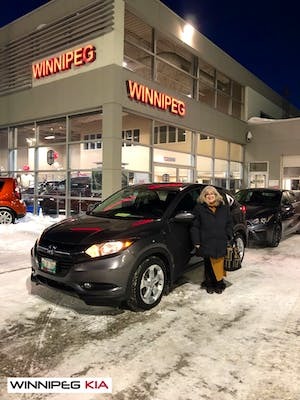 I would without question recommend both Michael and Winnipeg Kia to anyone looking to purchase a vehicle. Thank you so much for taking the time to leave us with this review! We appreciate the 5* rating and are thrilled to hear that Michael and Nicole took such great care of you during this purchase! Thank you so much for your continued loyalty - it is certainly appreciated. 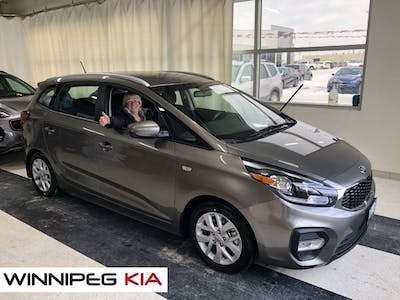 We wish you many years of safe and happy driving in your new Kia Rondo! The whole team was wonderful!! Everyone who helped me was fantastic and Michael went above and beyond to answer all of my questions and make sure I was happy with my vehicle. I will definitely be recommending this dealership to anyone looking to purchase a new vehicle in the future! Thank you SO much for this amazing 5* review, Felicia! We appreciate your honesty and kind words and are thrilled to hear your experience with us was exceptional. 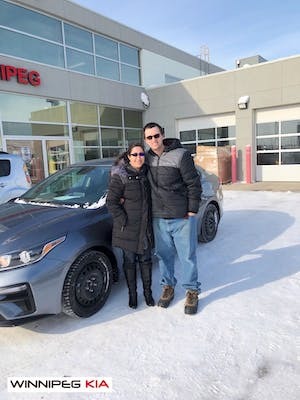 We wish you many years of safe and happy driving in your new Kia!